High school students have a unique set of needs that required programs tailored specifically to them. Teenagers are at a pivotal time in their development and require meaningful, authentic educational experiences that will impact them deeply. At the same time, they also require the additional supervision to allow them to explore off the beaten path while still providing the high levels of security that is necessary. Terra Education can help your high school find the perfect educational travel experience. Global Leadership Adventures (GLA) is a leading international community service summer program for high school aged students. Programs are open to students from all over the world between the ages of 14 and 18. 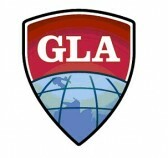 Read more about GLA’s unique program model. Terra Education is the exclusive representative of GLA. Summer Springboard was founded to give college-bound teens a supportive environment where they can explore their personal and academic passions. Our innovative pre-college summer programs, offered at some of the nation’s leading colleges and universities, combines the benefits of an academically challenging summer experience with tools and frameworks for personal leadership development and self-discovery. Americans Promoting Study Abroad (APSA) develops programs designed to prepare young Americans for life and work in the 21st century. APSA’s core summer program brings deserving public high school students on full scholarship from seven US cities to study in Beijing. The program focuses on language acquisition, cultural understanding, leadership development, and exposure to international careers. Terra Education organized the APSA summer program in Beijing. This program is part of the U.S. Department of State’s 100,000 Strong Initiative. The Pembroke Hill School is one of the most prestigious schools in Kansas City. Terra Education designed trips for their students and faculty to Tanzania, Guatemala and the Dominican Republic. Trips ranged from rugged camping in rural Masai villages to beachfront living to study sustainability in the Caribbean.